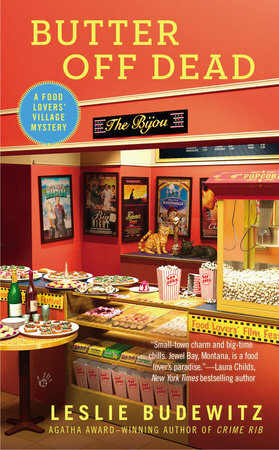 Budewitz's latest novel is Butter Off Dead, third in the Food Lovers’ Village Mysteries. I’ve been doing a lot of driving around Montana this summer, with a big stack of audio books on the seat next to me. That raises the pesky question whether listening is reading. Yes, in my view, though it reading with my ears is a vastly different experience from reading with my eyes. I miss the ability to flip back and check a phrase I missed—or one I particularly liked. But there’s something wonderfully comforting about being read to. And I feel freer to choose books I might not pick up otherwise, because my sit-down-and-read time is limited. Audio books let me dip into other worlds beyond the light-hearted mysteries I write. At the moment, I’m listening to The Husband’s Secret by Liane Moriarty. I can’t remember the last time I read a book set in Australia—something more recent than The Thorn Birds, I hope! From the brief prologue about Pandora of myth—did you know she was given a jar, not a box?—and the opening lines of Chapter 1, I knew this book was going to be smart, funny, and filled with potential disasters of the heart. And so it is. Before that, The Book Thief by Markus Zusak. Having seen the movie helped—the story is complicated, moving in and out of time and viewpoint. But oh, so beautiful and heart-rending. And the narration was so smooth and unhurried that I never felt lost in the story. Each of Tana French’s novels focuses on a different member of the Dublin Murder Squad, and each audio has a different narrator. 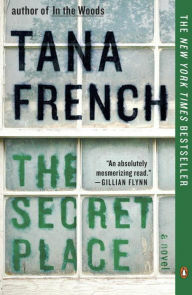 The Secret Place has two—one male, for the first-person detective chapters, and one female, for the third-person chapters that focus on the teenage girls whose secrets are the heart of the story. French travels to some dark places, and I’m glad I get to tag along—with the ability to punch the OFF button any time! Audio is great for nonfiction, too, much of it read by the author. 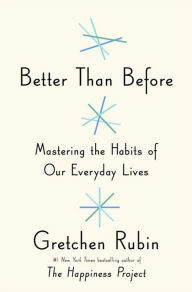 Gretchen Rubin’s Better Than Before: Mastering the Habits of Our Everyday Lives hits just the right tone: lots of great research, in a practical package, without being too preachy. Or maybe just a teeny bit. I loved her confiding tone as she told us about some of her bad habits and her failed attempts to form better ones. And yes, I’ve formed some positive new habits as a result. But one I’m not going to change is keeping an audio book in the car wherever I go.